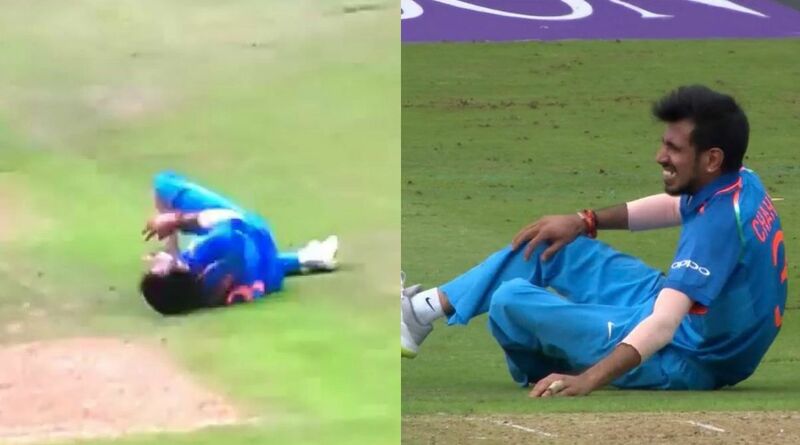 During the first ODI between India and England, an interesting incident took place involving leg-spinner Yuzvendra Chahal. In the middle of the first innings when England was batting, a throw from all-rounder Hardik Pandya struck Chahal on the right knee. Yuzvendra immediately dropped to the ground and tumbled over, holding his leg with a smile. The incident was similar to ace Brazilian footballer Neymar jr during the FIFA World cup 2018. After the incident, Glenn Maxwell and Twitterati could not hold back and pulled the leg of the RCB spinner. I thought Chahal was doing the Neymar challenge! “Is it neymar rolling down at trent bridge”? England have levelled the three-match One Day International (ODI) series to 1-1, after 86-runs victory over India in the second match at the iconic Lord’s stadium. In the second ODI, England dominated the whole game, unlike the opening match where Kuldeep Yadav and Rohit Sharma spearheaded India as they crushed England by eight wickets.